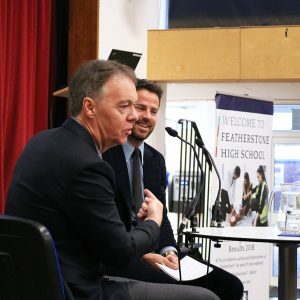 An exciting morning here at Featherstone, as we welcomed the CEO of Sky, Jeremy Darroch and surprise special guest Jamie Redknapp (ex-footballer and now pundit for Sky Sports). They were here to talk about taking action on plastic – something they both feel very strongly about. 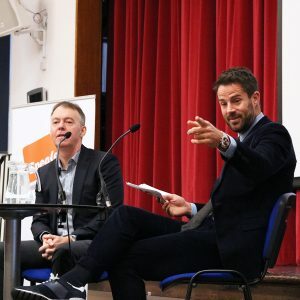 Jamie interviewed Jeremy about his life and career and why the issue of plastic waste is so important to him. 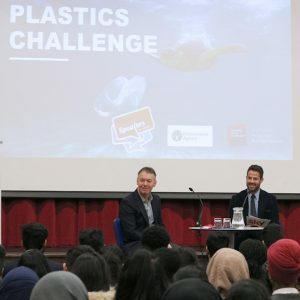 Jeremy told the Year 13 students that he feels he has a personal responsibility to use his position at Sky to make a difference and that Sky is committed to be single use plastic free by 2020. The students asked excellent questions about plastic and the plight of our oceans. Two of our students also pitched business ideas to Jeremy and were invited to Sky to pitch the ideas more formally so watch this space! 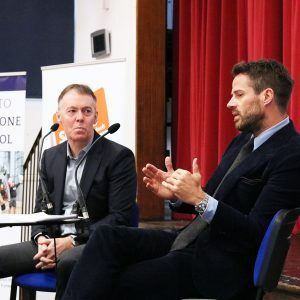 Jamie Redknapp was also able to chat to the students about his personal experiences and encouraged the students to work hard and never give up on their dreams. 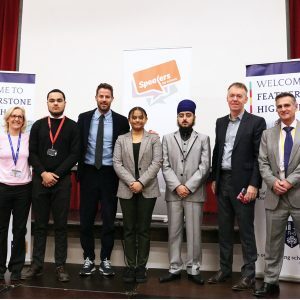 A fantastic event and very inspiring for all involved.